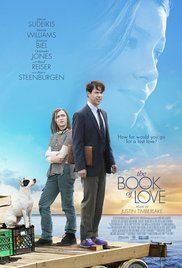 After the accidental death of his free-spirited pregnant wife, Penny (Jessica Biel), reserved architect Henry (Jason Sudeikis) struggles to find meaning in his life and in the work that once consumed him. As he continues to work on the house he and Penny were building together, Henry is drawn to a mysterious young runaway named Millie (Maisie Williams) whom Penny had asked Henry to help. Though Millie mistrusts Henry at first, the two build a tentative friendship as she reveals her ambition to build a raft to go find her father who was lost at sea. Taking on the father role he was meant to have, Henry neglects his job and other responsibilities to help Millie on her quest. As they work together, he comes to understand that she can help him to heal as much as he can help her and in the end they set sail together across the Atlantic. Read more on Wikipedia.